Everyone knows unicorns poop rainbows, but were you aware that they breath pretty pink cotton candy? 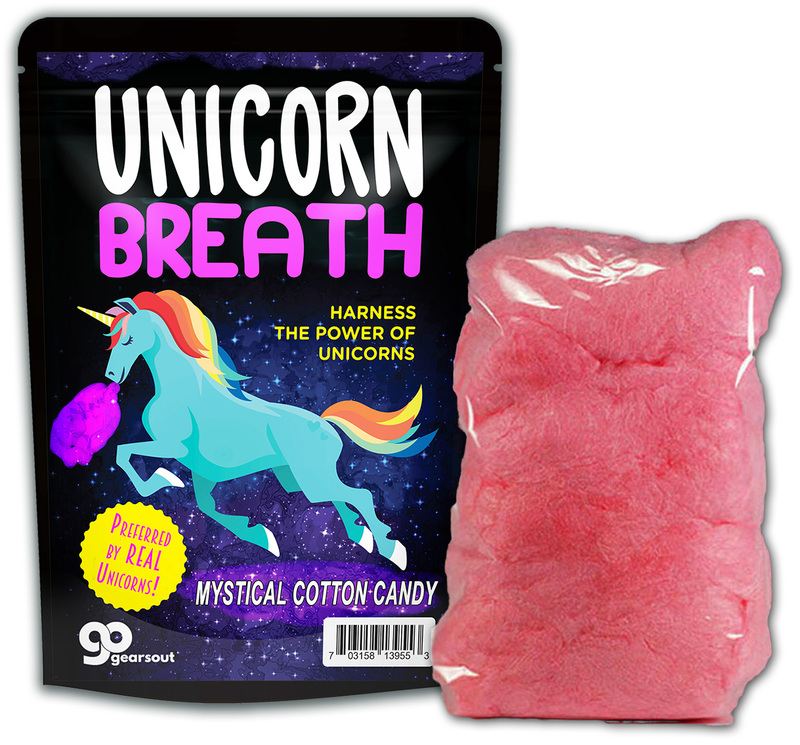 We’ve harnessed the power of these majestic beasts, so you can wow your friends with a magical bag of Unicorn Breath Cotton Candy! 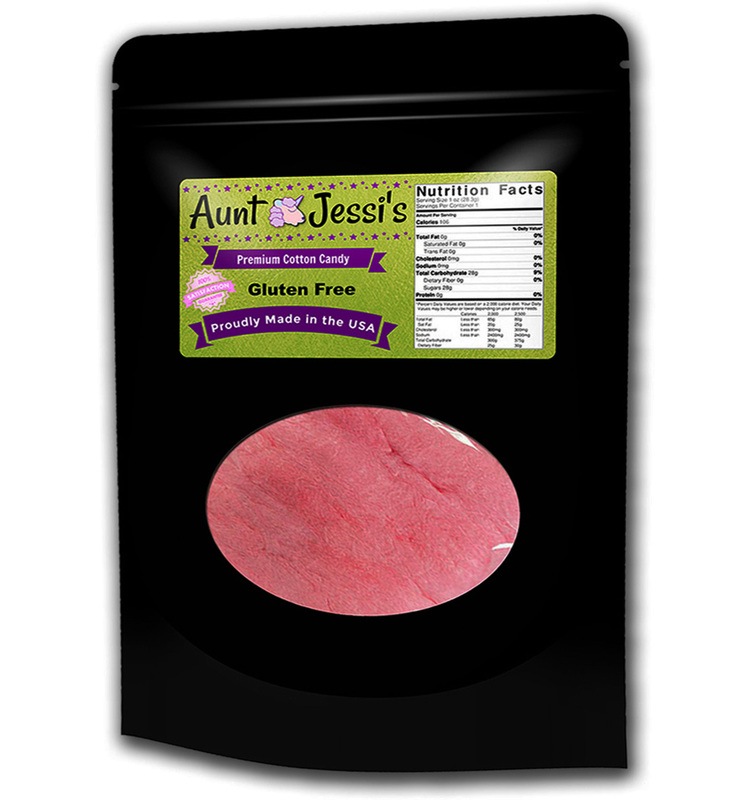 Our sugary, gluten-free, unicorn cotton candy formula delivers fabulous flavor and glorious giggles – all in one sassy package! 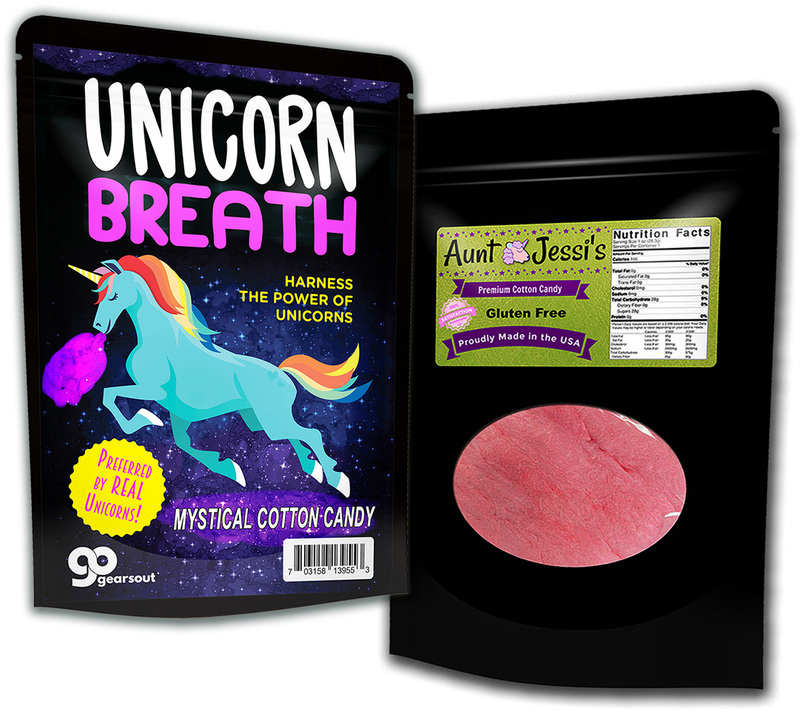 Unicorn Breath Cotton Candy is a fluffy, pink treat that breathes new, magical life into gift-giving. 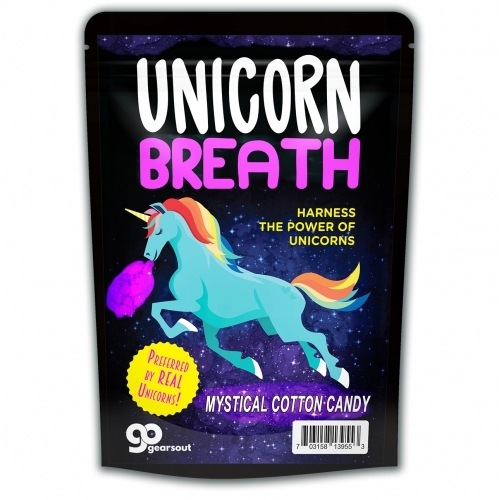 Unicorn Breath Cotton Candy is a unique gift for unicorn lovers of all ages. This girly gag gift is perfect for any lovely lady on your gift list, no matter what you’re celebrating. Add a bag to holiday care packages and birthday gift baskets. Slip some in as a funny stocking stuffer or wrap it up for a memorable white elephant or Secret Santa gift.